Learn how to develop an army of youth leaders who will impact a whole generation for Christ! 10th Anniversary Edition - includes new chapter as well as revised and expanded content throughout. Discover why this is a youthwork classic! What makes a good youth leader? How can you have dynamic impact? How can you lead the youth of today so that they are effective in changing their lives, transforming their schools, revolutionizing their churches, and impacting the world? How can you immerse yourself in the turbulent world of young people - and keep your sanity at the same time? Come and learn from Australian Youth Pastor Tim Hawkins - one of the most experienced around today. He will share with you his insights and wisdom from a quarter of a century at the front-line of Christian youth leadership. Not only is Tim's ministry raising up disciples, but he is also passionate about developing an army of youth leaders who will impact a whole generation for Christ! 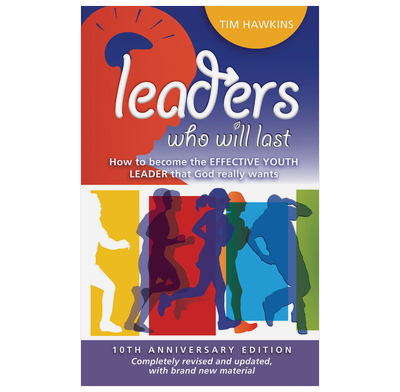 I highly recommend this book for all leaders. A lot of the stuff in this book is simple and stuff that you already should know but it is good to read it again but in a fresh context. Definitely helps you to think about the way that you lead and how to help others and yourself.